The data engineer job description is not always the most clearly defined, but it plays a critical role in enterprises' ability to get insights out of their data. The data scientist is one of the most prominent jobs in big data today, but there is a somewhat lesser-known professional whose work is just as important to getting insights out of data: the data engineer. 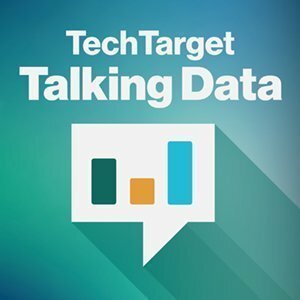 In this edition of the Talking Data podcast, we examine the differences between data scientists and data engineers and talk about how the two roles are complementary. It's often said that data scientists spend about 80% of their time just getting the data they need in the right format. That's where data engineers come in. These professionals set up the data pipelines that feed analyses and ensure that data scientists have the resources they need so they can spend more of their time running actual analysis, rather than implementing infrastructure. Of course, there are some differences of opinion when it comes to exactly what the role should entail, and we examine this controversy in the podcast. While the job title of the data engineer has existed for a while, some think it is emerging as a new trend, while others feel it replicates job roles from previous eras of IT, which means replicating some of the problems and inefficiencies that came with those roles. Take a listen to the podcast to learn more about how your organization can structure a data science program so that the data engineer complements, rather than competes with, your data scientists. There's no shortage of different jobs in big data today, but figuring out how they fit together is the key to success. How does your team incorporate both the data scientist role and the data engineer job?